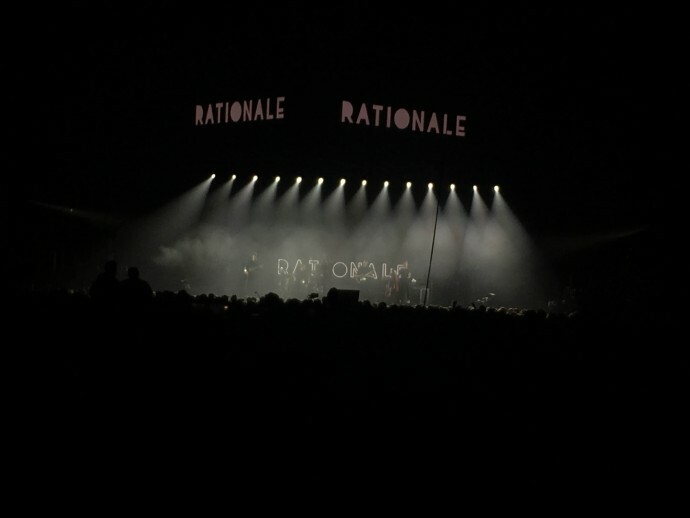 British award-winning band Bastille managed to stun Manchester to life on Sunday night, impressively nearly selling out the entire Arena on night eight of their UK and Ireland tour. The indie-pop band soared back to the city with their spectacular new tour ‘Wild World’ which featured a punch bowl of songs from their two number one albums. With remarkable support acts Leah Dou and Rationale to kick-off the show, the crowd definitely knew right away that they were in for a decent time. Bastille performed 22 songs in total, including popular hits such as ‘Good Grief’ and ‘Of the Night’, impressing a rather mixed crowd of screeching fan-girls, mushy young couples and much older audiences who were there to indulge in the bands extreme talent. It was definitely a big deal for the 2012 Brit-Award winners, with lead singer Dan Smith thanking the crowd obsessively and admitting he felt ‘lucky’ to be playing such an arena, comparing it to the much less significant O2 Apollo they played two years prior. With marvellous lighting - bright, bold colours filling the arena with energy, Dan’s polished vocals completed the show and left the audience in a complete frenzy after each and every song. 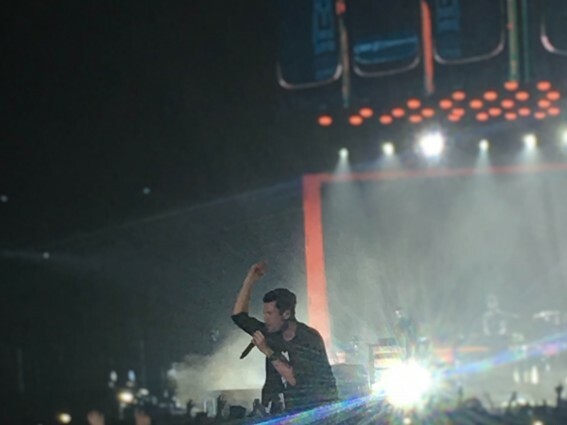 ‘Flaws’ was a particularly worthy performance, with front-man Dan keeping to routine and generously hopping off the stage, wandering through crowd to complete the song - leaving much of the audience completely astonished that they were able to grab a fistful of his shirt of breathe in his scent. Despite the attention he was receiving, Smith completely managed to pull off the stunt, his unique vocals remaining true to the record throughout. Though that wasn’t the bands only attempt to give back to fans – Dan performed ‘Of the Night’ perched on the lighting desk in the middle of the Arena, and afterwards, Dan and Will crept to the higher tier to perform their magnificent hit ‘Two Evils’, astounding the audience once more with their cheeky stunts. The band playing ‘Glory’ was definitely an enchanting moment of the evening, with Dan admitting that it was Bastille’s favourite song from the new album. Like many of the songs, the tune kept the crowd responsive, the arena filling up with a choir of claps which kept the energy flowing the entire night. Before the song, lead-singer Dan even opened up about their first ever Manchester gig, claiming they’d actually missed it due to their car breaking down. ‘Four Walls’ and ‘Oblivion’ left the Arena beautifully bathing in light from peoples phones, the much slower songs really cradling Dan’s bare vocals, leaving the crowd in complete awe. But it was definitely massive hits such as ‘Pompeii’ and ‘Things we lost in the Fire’ that literally rocked the arena, both songs leaving the crowd completely manic, with nearly every person reciting the lyrics perfectly – some with an overwhelming amount of passion. The night was unquestionably one worth remembering, the show was one of incredible talent and fans definitely weren’t left feeling ripped off from their £33 ticket price. Bastille will be continuing to tour the UK and Ireland until November 13, where their final stop will be the Metro Radio Arena in Newcastle.